Open the door reach in and drop it down. Once inside, reach down, and stow it away ... This saves you from mounting a permanent step that could infringe on your Belly Clearance ... Cowgirls love it!!! Here's a Red-Necks Concept for getting in that uncomfortably high first step of that lifted rig you're driving! 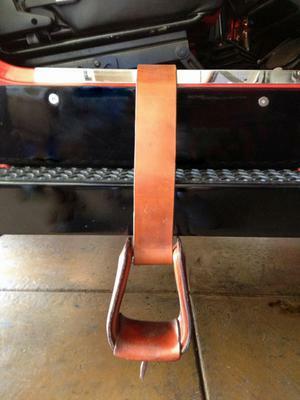 I added a 3" wide by 30" length leather belt and attached it permanently to the stirrup. On the other end I attached hardware which was a nut and bolt with a looped steel clip-on for optional removal. I also installed a steel ring through the floor-board for clipping on to. Find a pre-existing hole to use first before drilling one! I don't like drilling holes in my floor-board! Editor's Comment: Great idea, Steve! I've had similar ideas regarding assistive devices for lifted rigs, but this is the most original idea I've seen. 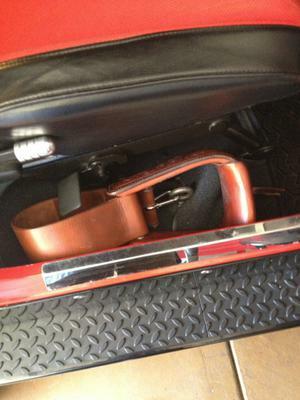 The craftsmanship of these Roper stirrups befits the detail you've put into the rest of your Jeep. 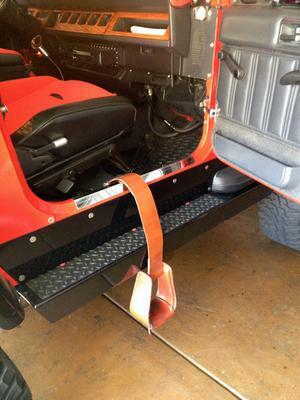 What hardware was used to attach to jeep? I loved this article! Is there anyway you can tell me exactly what hardware I need to purchase? 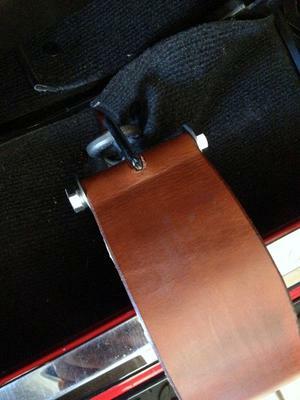 I know the stirrups and straps but how to connect it, I couldn't get a clear picture. Thank you!